lol….. is this actually happening? who calls 12 times in a row and then hangs up after only 5 secs…. I’ve quite a list of inappropriate words I’d like to throw at their heads right now. As 541 people were already looking for the owner of this number, this cannot be a private one. Any hint is very welcome here! Put a letter in my parents’ mailbox asking them to call Alex asap on this 0800 number. No reason why, no return address, no surname. My parents threw it away. Number three in our todays most wanted list might be a debt collection company. Anyway, there is not that much evidence for it, as only one user commented here. 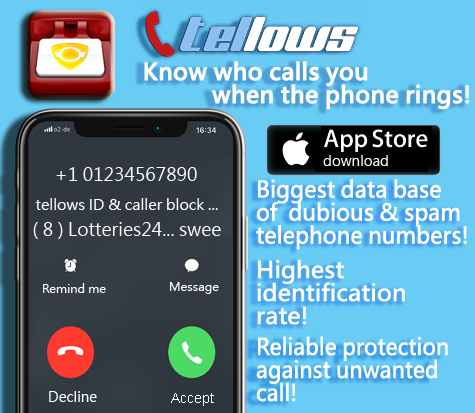 Whenever you receive a call from 099769580, be aware, that already 1936 search requests were registered on tellows, there is certainly something wrong here! Received one, it was from VirginMobile Australia. (called to resolve some issues reported to them recently). Nothing to add there, thanks for sharing your knowledge, Ah Gav! 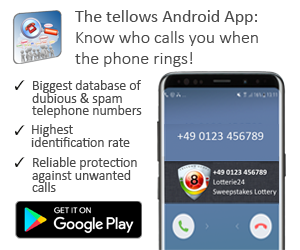 This entry was posted in Weekly Top 3 Spam and tagged annoying, Australia, New Zealand, News, nuisance calls, phone number, scam numbers, spam, statistics, Tellows, Tellows score, weekly update on Tuesday July 2nd, 2013 by Marianne.